We love Baby K’tan’s products and are so proud to share with you a selection of the awards that Baby K’tan Wrap Carriers and Diaper Bags have won! We will continue to update this list as the awards come in. Baby K’tan selected as a finalist in the BabyCenter Moms’ Picks awards! Babylist asked thousands of parents for their favorite baby product and chose the 50 best of 2017, including the Baby K’tan Baby Carrier! Baby K’tan voted Best Baby Wrap-Style Carrier in the 2017 Faveable Awards. Baby K’tan Baby Carrier selected 1st Place Platinum winner in the 2017 Loved By Parents Awards, Best Baby Wrap Category. Baby K’tan Baby Carrier selected 2nd Place Gold winner in the 2017 Loved By Parents Awards, Best Baby Sling Category. Baby K’tan Original Baby Carrier selected as a Best Baby Product in the 2017 CreditDonkey Best Baby Products roundup. Baby K’tan Original Baby Carrier selected 1st Place winner in the 2017 Baby and Children Product News Readers Choice Awards, Best Baby Sling category. Baby K’tan Diaper Bag selected 3rd Place winner in the 2017 Baby and Children Product News Readers Choice Awards, Best Diaper Bag category. 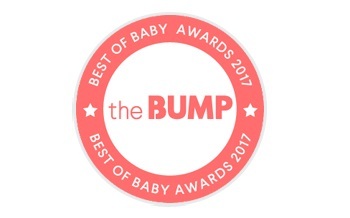 Baby K’tan Original Baby Carrier selected as a winner in the 2017 The Bump Best of Baby Awards, Baby on the Go category.